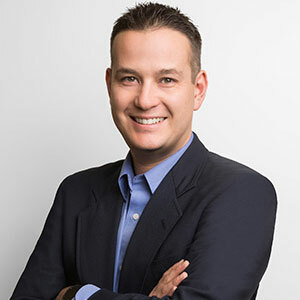 Kenji Gjovig is VP of partnerships and business development at Content Analytics, an e-commerce solutions provider that combines analytics, content management and reporting into one platform. In this exclusive interview with CRM Buyer reporter Vivian Wagner, Gjovig offers his insights on managing the customer experience through effective content management. CRM Buyer: What is content management, and what is the key to doing it effectively? Kenji Gjovig: Content management is all about making sure that [a product] item page has all of the information that a customer needs to buy an item or have a good experience with it afterwards. What goes into content management varies between retailers. A content management system has the ability to set up new items, post images and video, and create a robust title and detailed item description. Ratings and reviews are really important, and also elements like size charts and product comparison guides that will help [customers] learn how to use the item and feel good about it. You have to have all of the information on the screen. These enhanced content elements promote the best customer experience. CRM Buyer: What are some common mistakes you see in the way companies manage their content, and how can these mistakes be avoided? Gjovig: The biggest mistake we see is when a brand sees content management as an exercise in just checking the box. They treat it as a spectrum of bad versus good content. There&apos;s a huge spectrum of good and bad content, and the biggest mistake we see is when retailers don&apos;t deliver a good customer experience. CRM Buyer: What is the relationship between managing content effectively and delivering a good customer experience? Gjovig: I think they&apos;re directly tied together. If I don&apos;t have good content in my item pages, it&apos;s going to be a terrible customer experience. If there&apos;s a great description but no reviews, that&apos;s not good. If I&apos;m searching for further information, and there aren&apos;t good images, I&apos;m not likely to make a purchase. Let&apos;s say it&apos;s food or consumables. I see the food, but I don&apos;t know the ingredients. There&apos;s a high correlation between more content and good content. CRM: What are your recommendations for creating a good customer experience? Gjovig: Items have to have good attributes and good description, so the algorithms work well. If a customer types in "televisions" on a retailer site, the search algorithm has to be able to serve up the best item for them, so the best analytics tools identify a lot of search options. If you think about brick-and-mortar stores, the way we might find a product is walking down the aisles. We&apos;re physically and visually finding products. In e-commerce, it has to be all done virtually, and it has to be served up to us. If there&apos;s not good content on the pages, the algorithm can&apos;t serve up the right products, and that affects the customer experience. CRM Buyer: What is "content health," and how can it best be measured or evaluated? Gjovig: Content health is an objective measurement of something that is fairly subjective. We have an algorithm that identifies good or bad content. We measure all of the parameters and assign scores to each of these, and we evaluate individual item pages at scale. We&apos;re doing it across tens of millions of item pages across the Internet. We then measure the quality of content based on objective measures. If I&apos;m a particular brand, and I&apos;m managing my content, I want to make sure that my brand is doing well compared to other brands on other websites. We look at things both in a vacuum and more strategically, relative to other brands and retailers. CRM Buyer: How is the field of content management evolving and changing? What&apos;s in the future for content management? Gjovig: The way I would describe it is that there is chum in the water, and all of a sudden the sharks are coming. That&apos;s what&apos;s going on now. Every brand and every manufacturer is thinking about how they go to market in e-commerce, and retailers are thinking about e-commerce differently. When Amazon bought Whole Foods, every grocery store in the country paid attention. E-commerce is the only growing channel, and it&apos;s growing at double-digits. Everyone is trying to find a good content management system. The best ones are those that give both the analytics and the ability to go fix problems. The demand for precise, real-time analytics is increasing, because e-commerce is growing. The need for data and assortment is only going to be more, which means the analytics will need to get better and better. CRM Buyer: How is content changing and evolving? Gjovig: The old form of user-generated content is that you submit a question, and the next day someone replies. The next generation is that you get the question answered immediately. I would say that virtual reality is also on the horizon. You can imagine a future when everyone has a VR device, allowing you to interact with products. When I bought a playset, they had a video that had the camera going around the object 360 degrees. With VR, you can do things at scale, so you can give the customer a more interactive experience, a virtual view, or a tour of products. We&apos;re going to see technology that will provide more interactive experience, giving the customer a better experience in the moment of the shopping experience. Kenji Gjovig leads Partnerships and Business Development at Content Analytics. Kenji joined Content Analytics through the acquisition of his company High Tide Consulting. Prior to High Tide, Kenji was Director of Supplier Development at Walmart and Sam’s Club. Prior to his career in retail and commerce, Kenji was a submarine officer with the US Navy where he trained and led a team of 130 sailors operating a fast attack nuclear submarine. Kenji holds an MBA from the Stanford Graduate School of Business and a BS from the US Naval Academy.